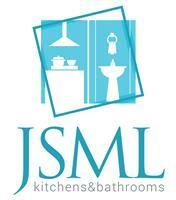 JSML Kitchens, Bathroom & Bedrooms - Bathrooms, Bedrooms, Carpets/Flooring, Kitchens based in Swinton, Greater Manchester. JSML Kitchens, Bathrooms & Bedrooms specialize in complete kitchen, bathroom, bedroom refurbishments. We offer completely customised kitchen and bathroom designs and we build and install your new kitchen to your exact specifications.You can start creating your new kitchen renovation plan by using our no-obligation quote free service, and have the opportunity to see the different models of your new kitchen before work starts.